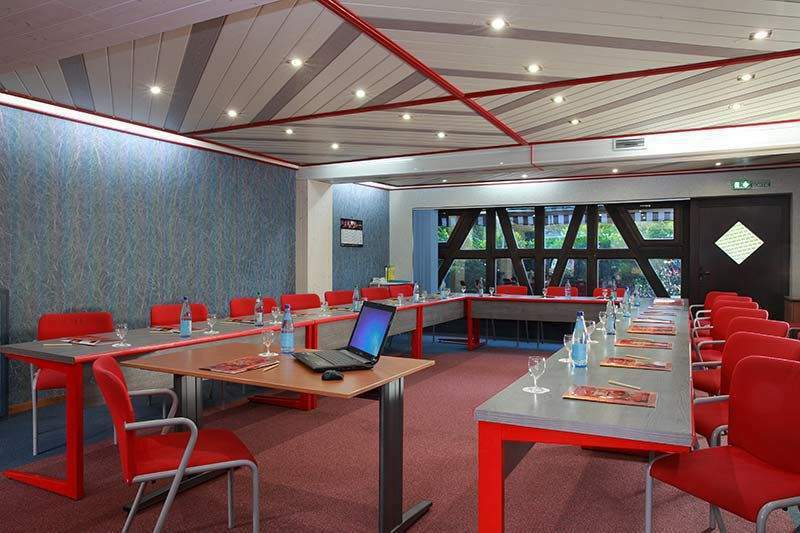 Organise your seminar in Bas-Rhin: Our hotel-restaurant in Entzheim is the perfect stopover for all your professional events: residential or semi-residential seminars, study days, work meetings, etc. 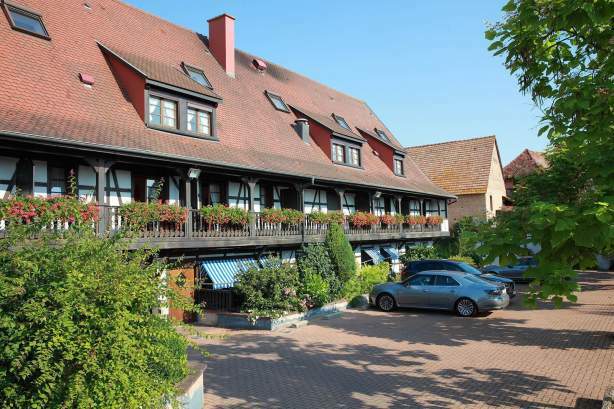 Indeed, the Hôtel Père Benoît is about ten minutes from Strasbourg, in an Alsatian village which will delight you with its tranquillity and charm. 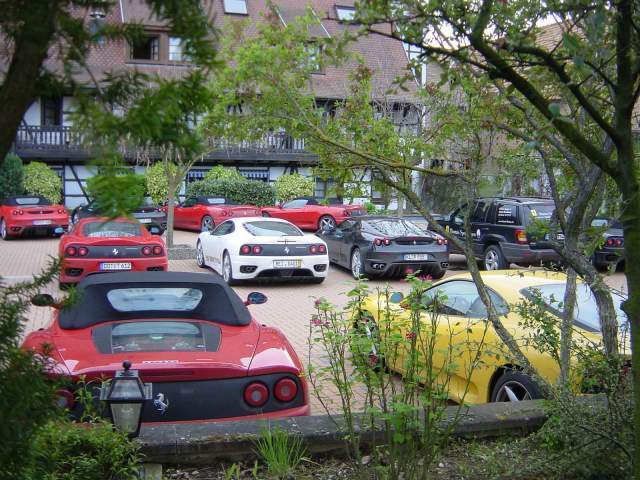 Entzheim airport is nearby and the large car park offers easy parking within the hotel. Bring your staff and colleagues together in the heart of Alsace, in an authentic farm where you will be able to work, dine and rest. We offer several packages combining room hire, meals at the restaurant and accommodation at the 3-star hotel. Our establishment provides two meeting rooms able to cater for up to 30 people. Lit by natural daylight and with air-conditioning, they offer a contemporary interior combined with high quality facilities. For additional information and to make your booking, contact us. 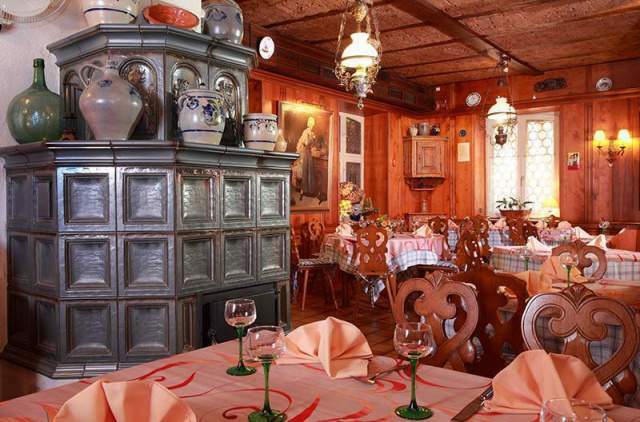 Invite your staff or customers to an Alsatian restaurant in the Strasbourg region. In Entzheim, the Steinkeller offers a large selection of Alsatian specialities to be enjoyed in an authentic setting. Take advantage of a convivial atmosphere for your business lunches and dinners. At the Steinkeller restaurant, organise your private reception: group meals, family meals, anniversaries, and more. 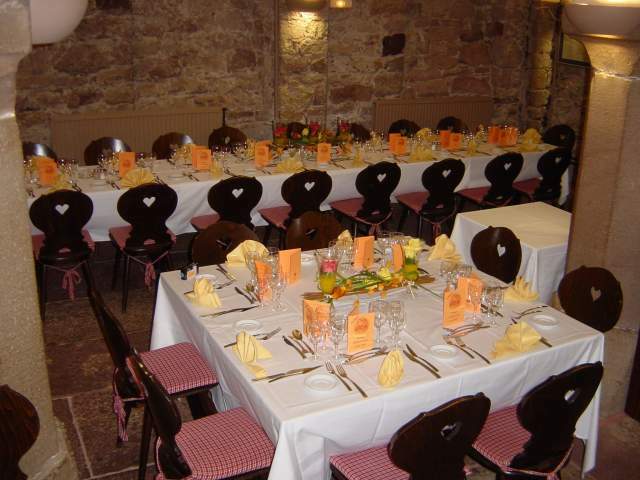 Our restaurant in Entzheim offers a very large reception capacity: we are able to cater for up to 100 people in our largest room. For your group meals or on request, we offer seasonal menus adapted to your needs. To find out more contact us by telephone on +33 3 88 68 91 65 or by email. 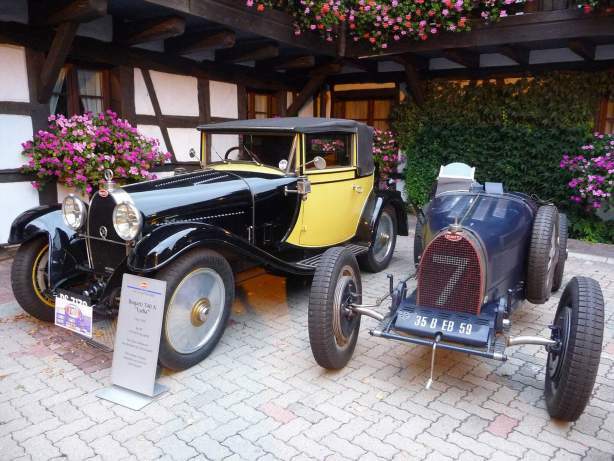 Thanks to our secure and enclosed car park, we regularly cater for automobile enthusiasts: luxury or collector cars are always welcome in Entzheim. 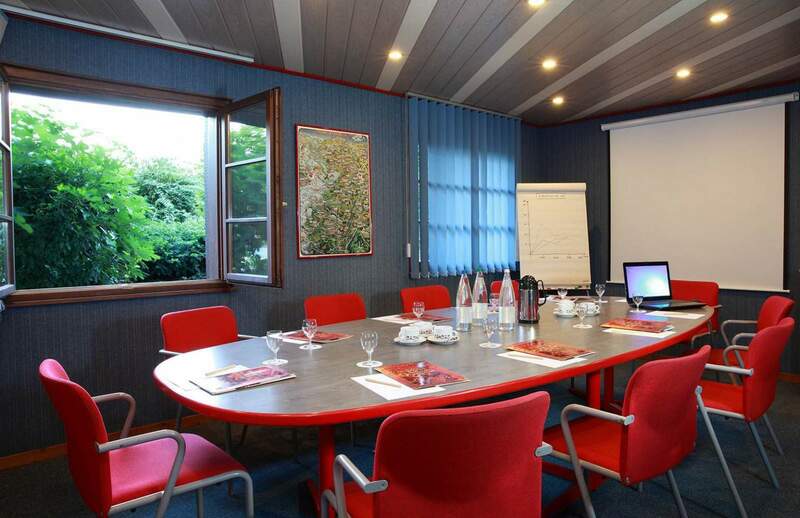 Organise your gathering or any other events at the Hôtel Père Benoît and its Steinkeller restaurant. To find out more, contact us by telephone on +33 3 88 68 98 00 or by email.